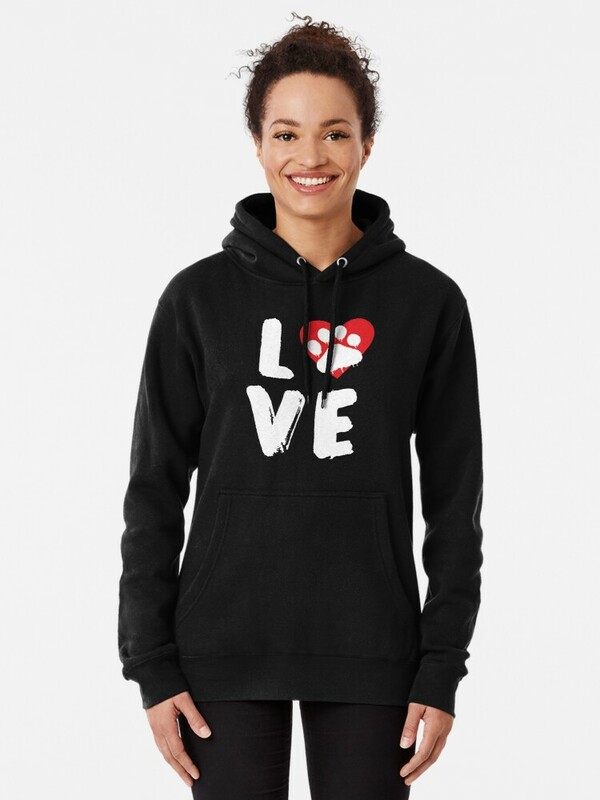 If you’re looking for some sweet I Love My Dog sweatshirt ideas, you are so in luck! We happen to have 10 absolutely adorable hoodies that let the whole world know just how much your pup means to you. From festive holiday designs to “everyday” hoodies, you’ll want to scoop up all of these! Let’s check them out, then you can tell me which one is your favorite! Related: Check out more fantastic hoodies for dog lovers in our shop! Let’s start with one that is all about love (literally!). 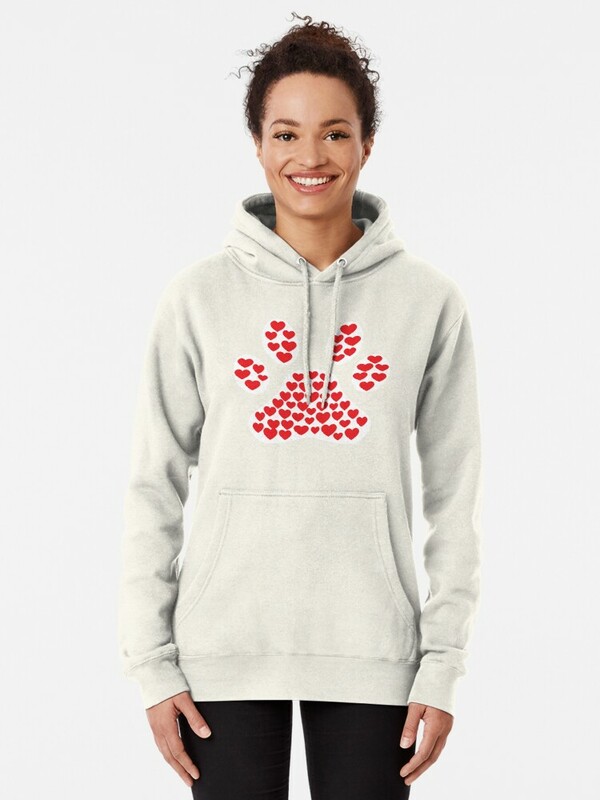 This cute Love with a Dog Paw Print sweatshirt is the perfect way to show off just how much your pup means to you. It’s a great hoodie to wear year-round, but also makes a special statement on Valentine’s Day! 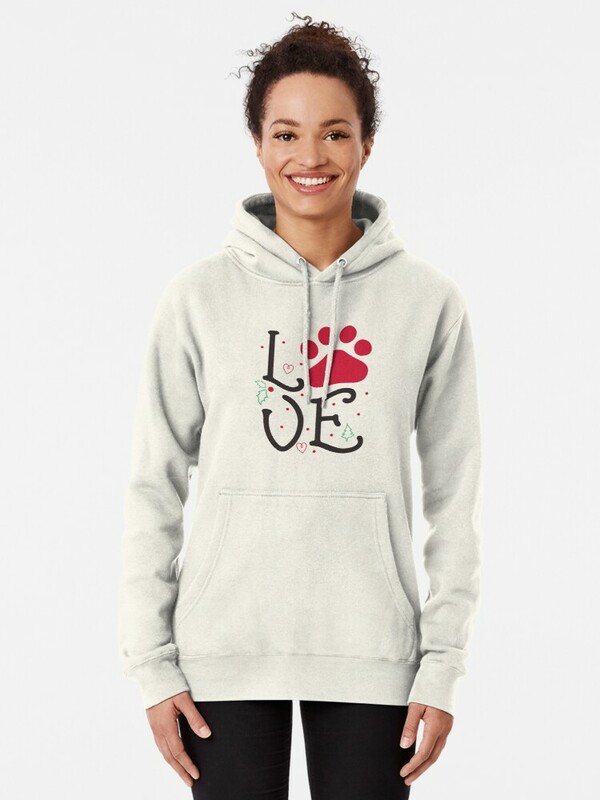 If your idea of the perfect Christmas is spending the day with your whole family, fur kids included, then you’ll love this cute hoodie! Pun intended! We actually have this design in several styles, but the one with the Santa hat is my personal favorite. One more festive one, then we’ll get into some more year-round designs. This one happens to be one of my favorites! By the way, did you know that the hoodies are made from a cotton/poly blend that makes them oh-so soft and cozy? Do you love your pug? Then this one is for you! Isn’t is absolutely adorable? I don’t even have a pug and I want it! It’s based off our popular love design, except with a squishy-cute pug face in place of the heart. I adore this one because it’s simple yet gets the message across, and it can really be for both cat and dog lovers! It makes a fantastic gift idea for your groomer! 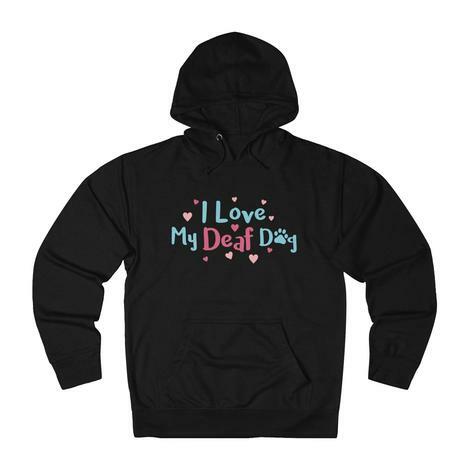 A special and meaningful I Love My Dog sweatshirt for our parents of deaf dogs, this one really is quite beautiful. Deaf dogs truly do help us learn to hear with our hearts, and they deserve recognition for the love they bring into our lives. This is one that I totally need! 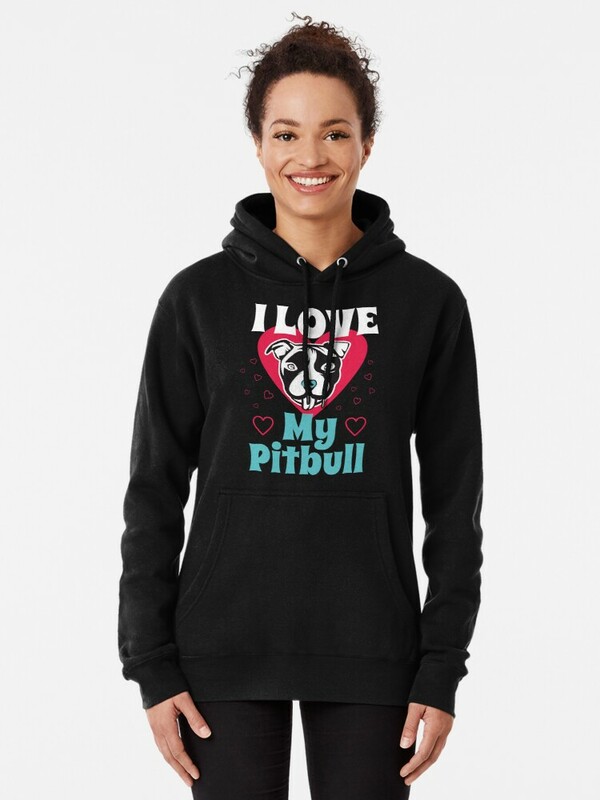 It says I Love My Pitbull and has the cutest graphic! As a pitbull mix parent myself, it’s definitely true! How much are you loving the pink in this “Just A Girl Who Loves Dogs” hoodie? It’s funny, because I never used to be a pink kind of girl, but I can’t resist this! 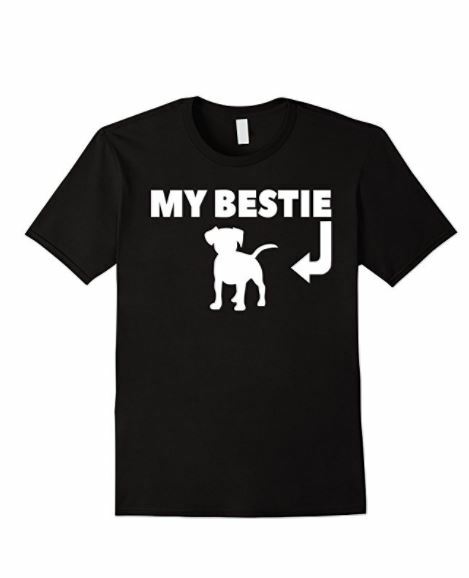 It’s as cute as the puppy one, but more for our adult dog lovers. I hope you enjoy these I Love My Dog sweatshirt ideas as much as I do! It’s hard to pick a favorite, but the pitbull one is probably my #1 pick this week. Ask me again next week and it could totally change! How about you? 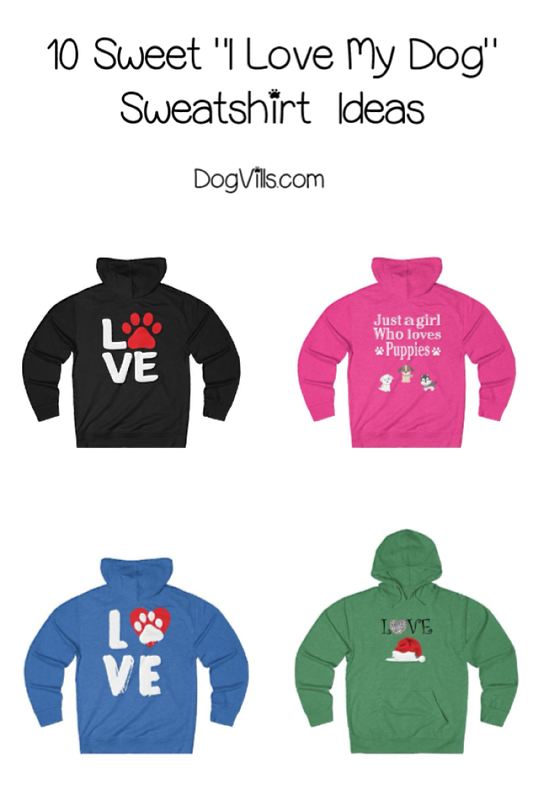 Which of these “I Love My Dog” sweatshirt ideas do you love most? Tell me below!